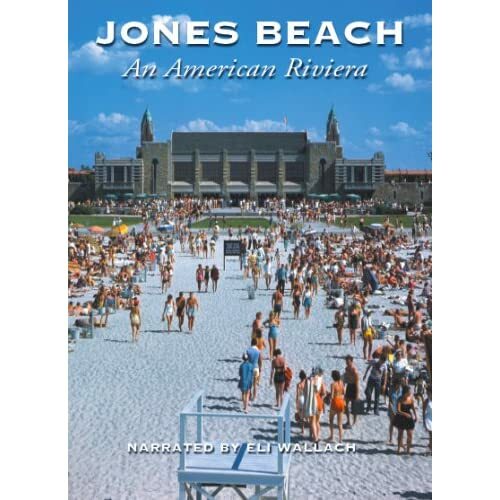 Jones Beach: An American Riviera DVD explores the creation of a New York landmark by an American original, Robert Moses. 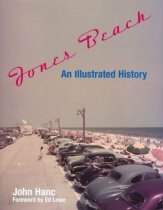 Conceived at a time when park development was little more than an afterthought for civic planners, Jones Beach was a revolutionary concept: an ocean playground for the urban masses. Built against tremendous opposition from xenophobic locals, the park was an engineering feat when it opened in 1929. Narrated by noted actor Eli Wallach, the film chronicles the park s history through rare newsreels, evocative photographs, and in-depth interviews. Highlights include accounts from celebrities reflecting upon their childhood memories of the beach, while historians and planners detail the transformation of an isolated island into a "people's palace by the sea. 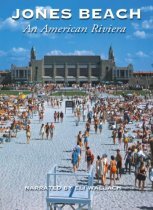 Special Features include extended interviews with historian Robert Caro, author Nelson DeMille, writer Ed Lowe, architect critic Paul Goldberger, actor Daniel Baldwin and others; a 1950's travelogue movie highlighting many of New York parks; and a slide show containing digitally enhanced photos of Jones Beach throughout the decades.